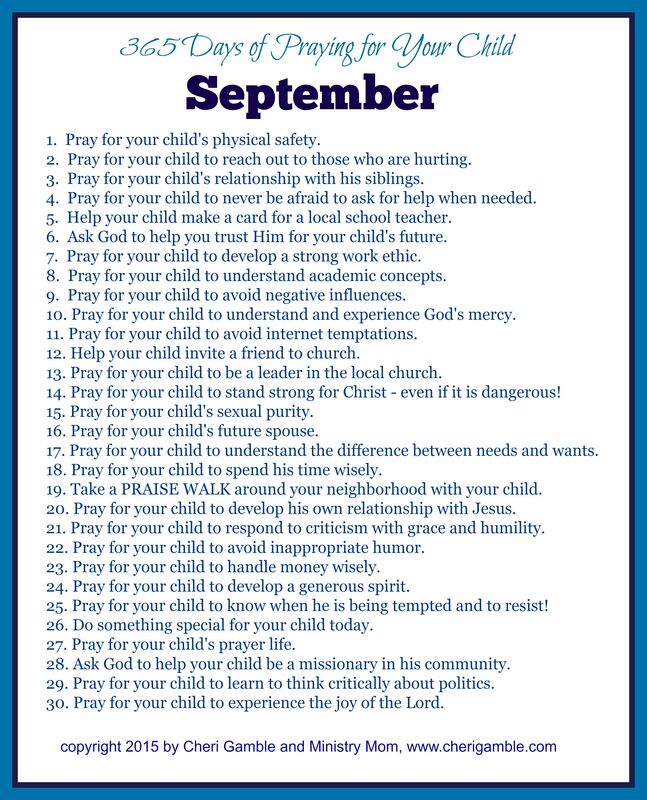 This post contains 30 ideas of ways to pray for your children throughout the month of September. Print one off and start praying . 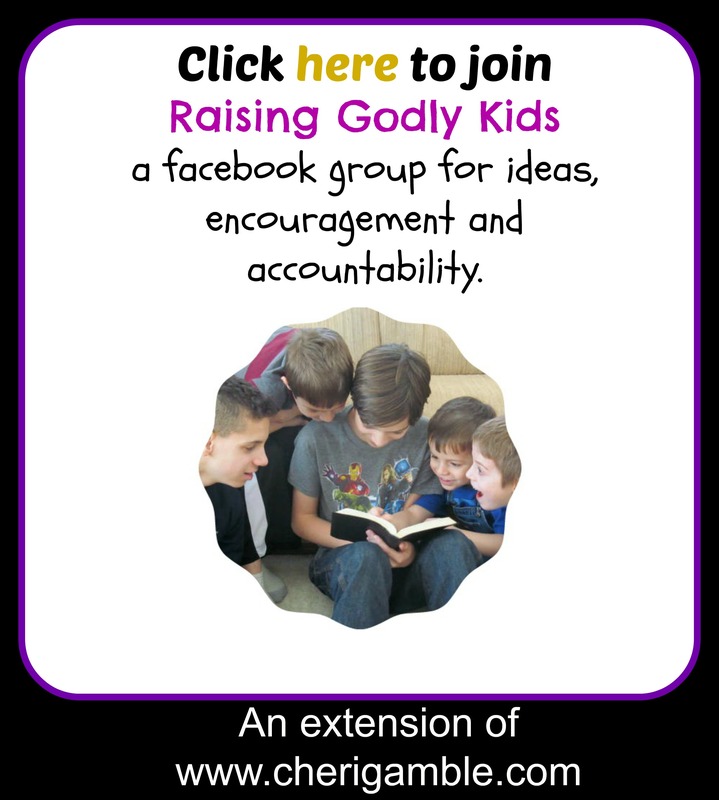 . . and, while you’re at it, join our facebook group for more encouragement and accountability as you raise godly kids in today’s society! And now here is September’s prayer list. If you are using the prayer calendars, you might also be interested in the Bible Reading Plans and Bible Lessons available here at Ministry Mom. And, if you are looking for encouragement for yourself, be sure to check out the Devotions or Marriage Moments.